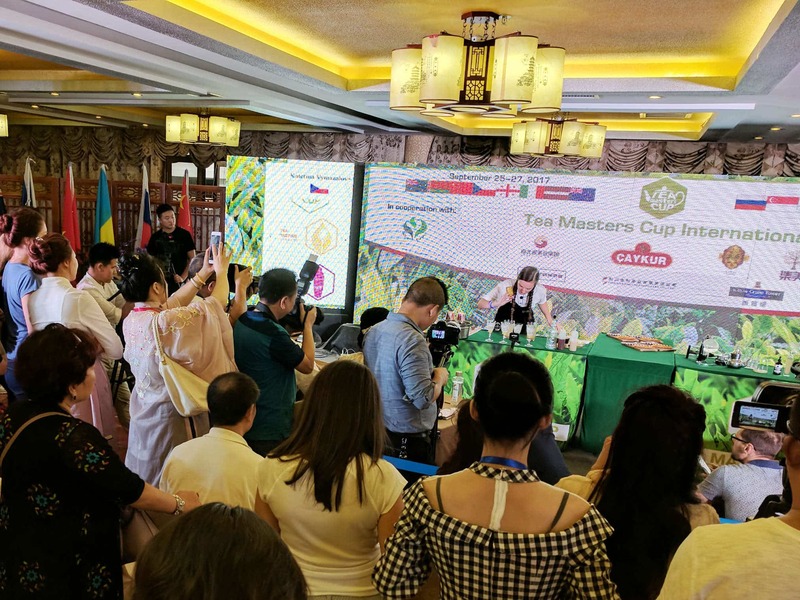 This is part 4 of a 6 post series on matcha contributed to World of Tea by Tyas Sōsen. After the leaf has been harvested, it is immediately transported to the factory where it is almost instantly transferred onto a conveyor belt that takes the harvested leaves through a steamer. The steaming is usually very short; approximately 20 seconds. Its main purpose is to deactivate the oxygen in the leaf to prevent further oxidation, and in doing so the leaf will maintain its green color and freshness. Other effects of scalding the leaf include the removal of grassy-like and similar bad odors, and it also contributes to a more meek and submissive leaf, that will allow it to be modified during the later processing stages more easily. After steaming, the leaf is transported into what consists of commonly 4 to 5 successive columns of approximately 5 to 6 meters high. These columns are equipped with wind turbines at the bottom that throw the steamed leaf high up in the air. To keep the leaf from freely deviating off course, nets are installed to form cages around the columns of wind. Using wind to project the tea leaf into the air helps leaves that got stuck together through the moisture of the steam to detach. It also allows the remaining moisture on the surface of the leaves to evaporate and lets the leaf cool down and dry. By the time the leaves have reached the final column, they have become dry, cooled and are floating around freely apart from each other. This is necessary because the final column directly connects to the lowest conveyor belt that transports the leaf through an approximately 10m long brick oven. Spreading out the leaf evenly on the conveyor belt is detrimental to the equal drying of the leaf. Also, should any moisture still be remaining on its surface, this may cause the leaf to burn as temperatures inside the oven at certain times measure around 150 degrees Celsius. The ‘tencha-ro’ [碾茶炉] as it is called in Japanese, was invented in 1924 by Horii Chōjirō [堀井長次郎], at the time the 3rd successor of the Horii Shichimeien [堀井七 茗園] tea brand in Uji. The machine allowed for a balanced drying without any irregularities, and is said to be the only machine that has replaced hand processing, and simultaneously has effectively contributed to actually improving the quality of the tea produced. The oven consists of three or four layers of conveyor belts. The newest types commonly have only three layers. The lowest layer, onto which the leaf is scattered first, after blow-drying, is positioned closest to the source of heat which is situated at the bottom of the oven, and thus tends to become hottest. At a temperature of approximately 150°C, the leaf is transported through in approximately 2 to 3 minutes for an initial round of rough drying. Successively, the leaves are blown up by a fan to reposition on the top layer conveyor belt for another round of drying at a temperature of approximately 100°C for roughly 6 to 8 minutes. Next, the leaf is allowed to fall of the top belt onto the center conveyor belt, and rides back inside in the opposite direction for a final 9 to 10 minutes. When the leaves have left the oven, they are gathered and stored as ‘raw tencha’ (or ‘ara-tencha’ [荒碾茶] in Japanese). Hereafter, the tencha is cut to refine the size of the leaf, filtered to separate the leaf tissue from the twigs and veins, and finally dried again in order to become a finalized tencha. But, this final processing is usually conducted at the wholesaler, or tea vendor since preferences and practices may differ. Can you talk to me what kind of machine on the top of topic? I think it is a dry machine but i want to know detail about type of machine. The machine in the picture is a drying oven in 4 layers used for the drying and manufacturing of Tencha. This is only one side of the oven, where the leaf comes out, moves onto another conveyor belt, and gets carried back inside for another drying. It in short, the machine that is being discussed in this article.